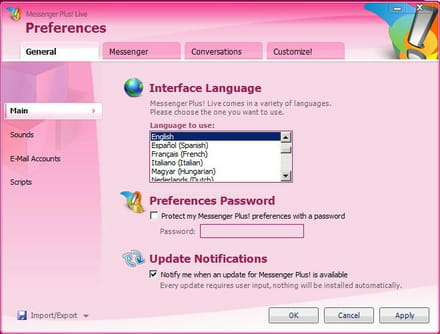 THIS SOFTWARE HAS RETURNED TO ITS ORIGINAL NAME: "MESSENGER PLUS" by Yuna Software. Messenger Plus! 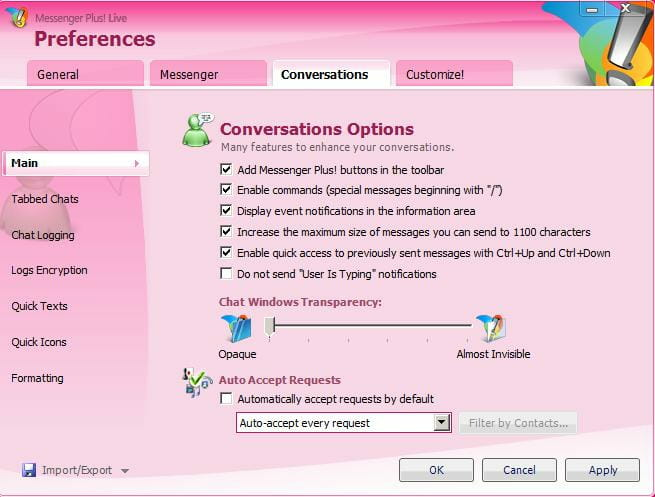 Live fully integrates with Windows Live Messenger to add many features. 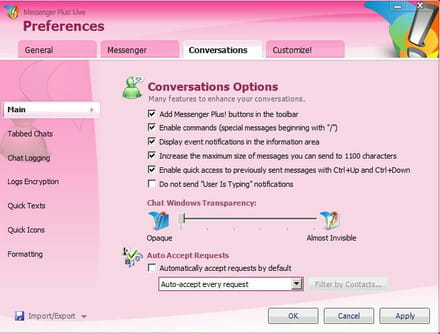 You can choose to manage your ongoing conversations by tab, send emoticons, quickly hide windows Live in the course of use. 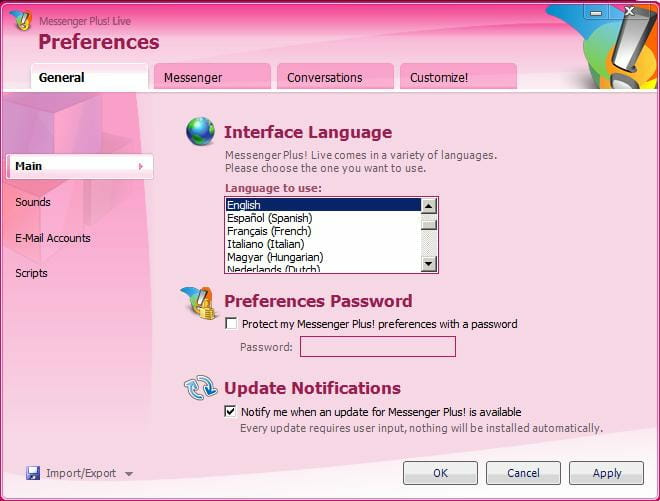 This Messenger Plus! Live version is available for WLM 2009 and WLM 2011. Create custom status to inform your contacts of the reason for your absence. You can use several messenger at the same time. It will keep a log for every conversation opened in a specific place. Messenger Plus! gives you the possibility to choose any color you want for your messages' text and background. Create customized away and busy statuses with special name tags, personal messages and even an auto-responder. Messenger can then be password protected and messages can automatically be sent to your contacts to inform them of a lock or unlock. Latest update on December 16, 2016 at 10:25 AM.